The Greek system is a large part of Young Harris College. Some young women and men that walk on to campus will, at some point, become a part of a Greek society, sorority, fraternity or perhaps, all three. Greeks are special in their own way; however, something that sets each one apart are their jerseys. Each fraternity, sorority, and organization has their own special set of colors and letters that is put on a jersey for each person to wear once they are finished with their education period. The jersey is the final piece of the puzzle to make someone a true Greek. There are 12 different Greek systems on campus ranging from sororities and fraternities to organizations and honor societies. Each has their own jersey and all wear them differently. Gamma Psi is one sorority that has an interesting way of wearing their jerseys. Their colors are navy, burgundy and white; their jerseys display these colors, but some are embellished with little butterflies. “Some lines do the butterfly thing, others don’t. It just runs in the lines,” said Monica Phelps, sophomore psychology major. It is tradition for these ladies, but they are also known for wearing their jerseys over skirts, which Phelps mentioned was just a fashion statement. 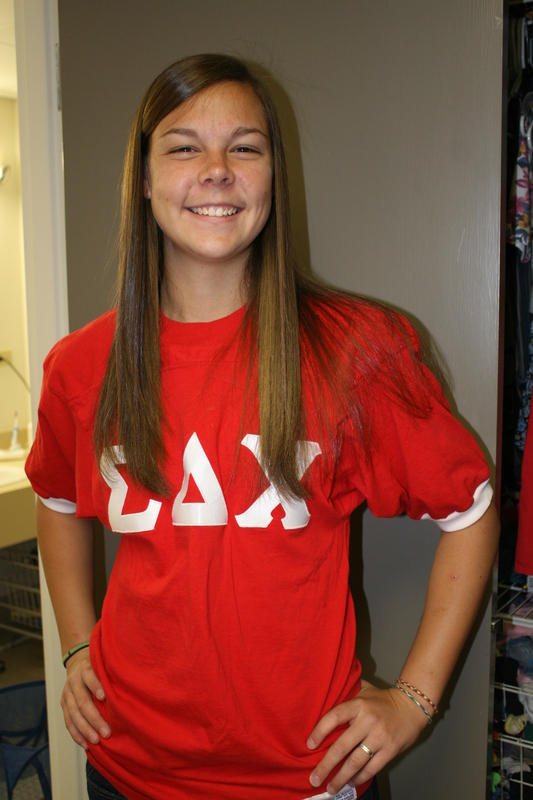 Delta Gamma is one organization that members have interesting ways of wearing their jerseys. Their colors are black and white, and according to Delta Gamma President, Cheyenne Teeple, members are allowed to do whatever they want with their jerseys. Considering all members are somehow related to the dramatics, it makes sense why their jerseys always seem to be torn and tied in interesting ways. Zeta Pi has the colors of pride, ambition and devotion, which are orange and blue. Their fashion statement is one that is supposed to send a message out to people. “We like to wear our old, tattered jerseys the most because the wear and tear shows that our jerseys are more than just a piece of formal clothing,” said senior biology major Levi Gentle. Some other organizations, such as Dorcas and Sigma Beta, or SPAT, feel just the opposite. Both are honor societies and are not allowed to cut their jerseys at all. Furthermore, SPAT brothers must tuck in their jerseys while wearing them. Another sorority that stands out from the rest is Phi Alpha Phi, or PAPs. With their white jerseys, one might notice that sometimes they are tie-dyed, instead of just white and orange. “I don’t think there’s any particular reason for it. We just like tie-dye,” said junior media communication major Ali Neese. Whatever the trend or reason for each Greek, their colors shine proudly each time they wear their jerseys around campus. Spring break is a time for students to just get away from school, classes, homework and the midterms. This year, spring break comes early in the calendar year for Young Harris College students; however, that does not mean that students will not be venturing to the beach for their vacation. Even at the beach though, people have to be fashionable. So what are the fashions for spring break 2011? For the ladies, the bikini is still popular, string bikini to be exact. The string bikinis that sit right on the hips and halters around the neck seem most popular; although, a strapless top is popular as well. Polka dots, bright colors and embroidery are in style, with some stripes still looking good also. When you are not lounging on the beach or sitting poolside, ladies shorts and skirts are most in season. Jean shorts and skirts with floral, a bright solid or some pattern are most fashionable. Capri’s are coming back as well, but mostly only jean Capri’s. For your feet, flip-flops of course, but do not forget about the wedged heels as well. Gentlemen, out on the beach or by the pool, board shorts are fashionable this season. Shorts that have floral patterns, plaid or solids are hot this spring. Once you leave the beach, your board shorts are appropriate bottoms to wear around. As far as shirts go, solid polo shirts are best and definitely flip-flops on your feet. Of course not everyone will be going to the beach this spring break. Some people will be traveling up North or into colder climates. For those people, pants, long sleeves, closed toed shoes and jackets are suitable. No matter where you will be this spring break, being fashionable is always important to impress. The best way to describe what some of the men on campus have been sporting includes the words country club. Men out at the country club sport their golf gear out on the course and sports coats inside the club. 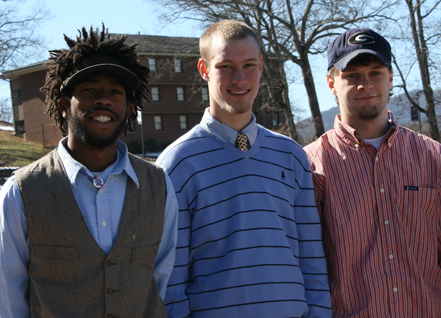 The male students, or the ‘Young Harris Country Club members’ who are dressing this way, have been wearing things such as sweater vests, button down shirts, polo’s, plaid shorts, jeans without discoloration or holes, sports coats, Sperry’s, dress shoes and even some pastel colored shorts and pants. The faculty has certainly noticed this change, and have nothing but positive things to say about it. Most professors interviewed mentioned what a professional look it gives the gentlemen and the college It allows professors to take the guys more seriously in class as students. Several professors also mentioned that it is good practice for the young men to get themselves ready for the real world. “I don’t like wearing ties, I don’t like wearing jackets, but I do it to remind myself that I am at work,” said Jamie Watson, assistant professor of philosophy, when recalling something the president of his undergraduate college had said. It is a great way to look at dressing cleanly, do it to remind yourself to be professional. Of course the students themselves may not really look at it that way. Maybe they have always dressed nicely. “I dress nice because it was how I was raised; my mom always taught me to present myself well. However, it gives a good first impression before any verbal communication can occur,” said Dane Knudsen, a sophomore biology major from Savannah. Whatever their motive, the members of the ‘Young Harris Country Club’ have definitely added a touch of class to campus; and hopefully the trend will continue to catch on. Everyone is aware of the growth and expansion Young Harris College is experiencing since becoming a four-year college. An important part of the expansion is the growth in enrollment numbers. In fall of 2009, enrollment was at 695 students. 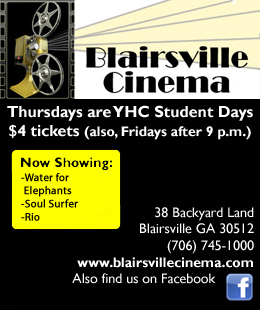 This past fall of 2010, YHC had a record enrollment of 820 students. Increased numbers like these do not happen without the enrollment office persistently working to promote incoming student interest in YHC. With last year’s bigger-than-expected numbers, the office is now looking to a record 2011. The enrollment goal for next fall is 900 students. As of right now, YHC is on pace to reach this goal, but it is still too early to tell exactly what is going to happen in terms of enrollment. “We are on pace as of Nov. 1 on the number of applications we need to have, and the number of students that we have admitted to the college to achieve our enrollment goals for next fall, which would be about 375 freshmen,” said Clint Hobbs, vice president for enrollment management. Not only are the enrollment rates looking good so far, but also the retention rates are favorable. So far, YHC has exceeded its retention goals from the 2009-2010 school years, and there is no reason that the school should not continue to retain students at a high rate. YHC maintains its retention rates because of the four-year programs associated with YHC. The four-year programs includes not only majors, but also other things such as new sports to campus. The school, since becoming four-year has granted nine new majors, with several more on the way, built new buildings and residence halls and added on basketball to the sports agenda. “It gives us more exposure. We had become the best black and white television in a color TV market,” Hobbs said. This helps recruit students to YHC, and recruitment is a very important word to someone like Hobbs. One form of recruitment that has received recent renovation is the school’s website. “If you don’t have a website that is at least commensurate with the other college’s that you are in competition with for the same students, than you’re going to be behind,” Hobbs said. Today’s generation is internet savvy, allowing more high school students to see YHC and become interested in visiting campus. Campus visits are a vital piece to YHC’s recruitment efforts. “It is only via the college visit that a student can equip themselves with enough information about a college to make an informed decision or choice about that college,” Hobbs said. So, with all pieces combined, the four-year program, degrees, sports, the new website and campus visits, YHC has every hope that they will reach their goals for enrollment and retention for next fall. Along with ensuring that Young Harris College has a record student enrollment every fall, Clint Hobbs, vice president for enrollment management at YHC, is also a reappointed member of the Georgia Nonpublic Postsecondary Education Commission, or NPEC, as well as a former president of the Georgia Association of Collegian Registrars and Admissions Officers, or GACRO. Hobbs has served YHC for 21 years, where each student has been influenced by his office whether it has been directly or indirectly. “Enrollment management is a function that oversees all of the aspects of enrollment at a college. Anything that will impact enrollment, that affects enrollment, is mostly under my purview,” Hobbs said. That means that the recruitment of students, admission of students, processing a student through the front door, tracking retention of the student and providing financial aid to students has to do with Clint Hobbs. Hobbs is the reason all of the students are motivated to attend here, stay here or have financial aid at the YHC. However, in addition to his extensive work with enrollment numbers, Hobbs is busy holding positions in NPEC and GACRO. Hobbs got his start when former Georgia State Governor Zell Miller, who held office as governor from 1991-1999, first appointed Hobbs into NEPC in 1997, where he served his first three-year term. 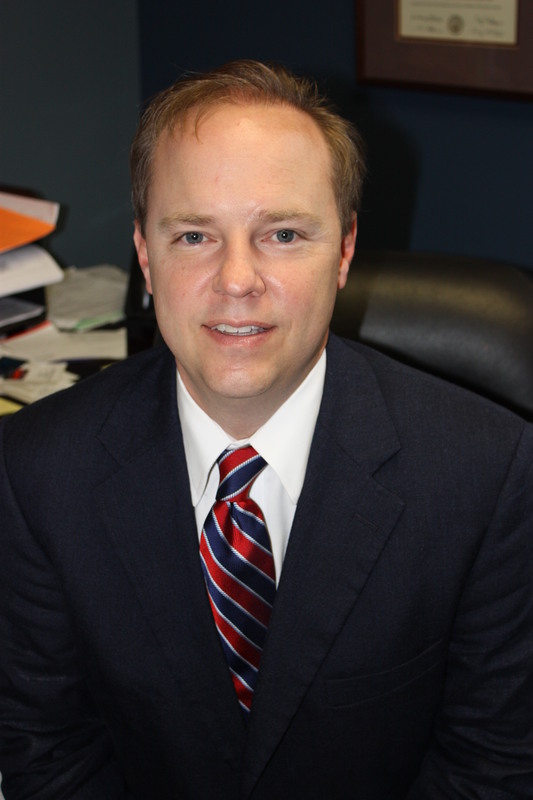 He was then reappointed twice to the position by Governor Perdue and is now serving his third three-year term; although, Hobbs has switched from being a part of the 9th district to the 10th district, which makes him eligible to serve a third term in NPEC. “NPEC was set up as a consumer protection agency for students that go to college with Governor Miller back when he was the governor in the mid-90s,” Hobbs said. This means that any college or university that is not accredited must go through NPEC to receive their license to have their establishment in Georgia. NPEC also ensures that for-profit schools do not take advantage of its students. The process is long and strenuous, but it is NPEC’s duty to make sure the establishment is legitimate and does not steal money from unsuspecting students. GACRO, which is where Hobbs recently concluded his one-year term as president this past October, is an association comprised of all the public and private colleges of Georgia. “It is a professional development organization that seeks to provide professional development opportunities through workshops at our annual meeting for enrollment professionals in the state,” Hobbs said. Basically, the association sets up the annual conference where all admissions officers from each college or university are invited to go and learn more about how to help their establishment run more efficiently. Through his work with both of these organizations and with his position at YHC, Hobbs is working to improve higher education on and off campus. According to the National Weather Service Weather Forecast Office, since January, Georgia has had approximately 38 inches of rainfall. This number is greater than several of the recorded rainfall totals from the past 10 years. The rainfall for this year is already high in comparison to previous years, but this year’s total has yet to include the last three months of this year. What do these numbers mean for Young Harris College students? These numbers translate into many more rainy days that YHC students and faculty have to look forward to. To combat the rain, YHC students walk across campus with umbrellas to protect their heads and rain boots to protect their feet from the huge puddles beneath them. 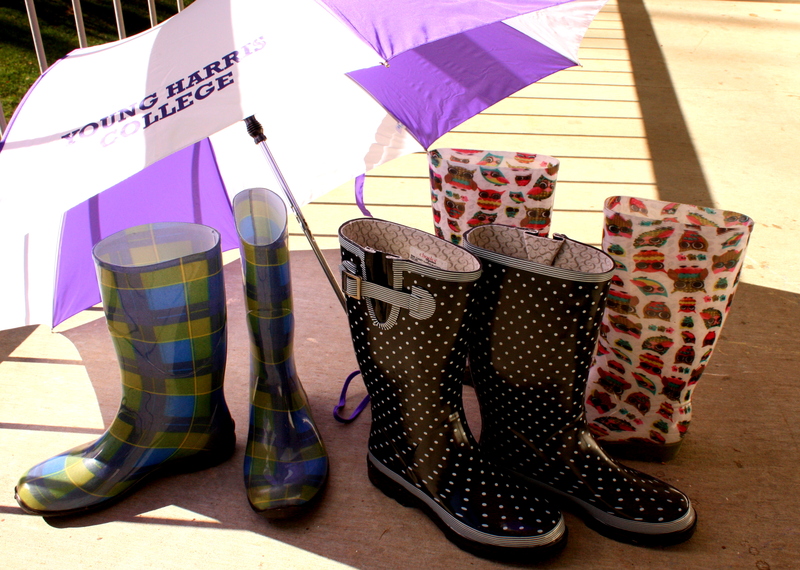 Rain boots, otherwise known as galoshes, have become a popular trend on Young Harris College campus. Typically, women wear them over their jeans to keep their feet from getting wet. Rain boots come in all kinds of fun colors and designs for girls. They are available in solid colors, with polka dots, stripes, animal prints or even some with pictures of the Statue of Liberty on them. Women can go pick out whichever pair that matches their personality the best. 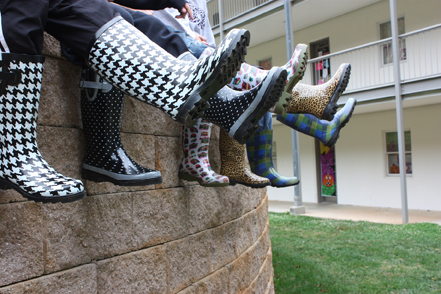 Rain boots are a fun and fashionable for women to wear, but what about the guys around campus? On Fri., Nov. 5, Monica Kaufman-Pearson joined several Young Harris College students for the fall semester’s final presentation of the Presidential Luncheon series. Pearson was here to discuss her role as a reporter, give the students advice on how to succeed and answer any questions the students had for her. Over 20 students were in attendance at the luncheon, most of which were business and public policy and communication majors. To introduce Pearson, YHC President Cathy Cox gave students a brief overview of her background. Pearson grew up in Louisville, Ky. She attended the University of Louisville, where she got a degree in English and philosophy. Pearson landed her first journalism job as a reporter at the Louisville Times. Pearson has been a news anchor at WSB-TV 2 for over 35 years, though she plans to retire in 2012. Throughout her career, she has earned 28 local and regional Emmys, and is widely known internationally as a credible source of news. In her spare time, Pearson reads to elementary school children, attends Lady of Lourdes Catholic Church in Atlanta and sings in the choir at Gospel Tabernacle Church in Atlanta. Pearson is married with one daughter. 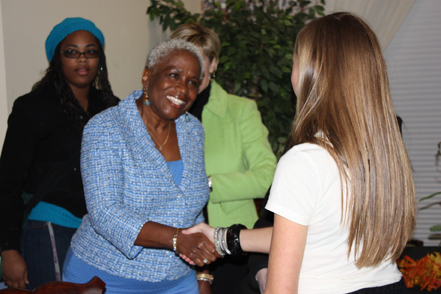 Pearson told YHC students about her profession and gave students advice. “No matter how bad the situation appears, stop and do what is right. You need to have a sense of morality,” said Pearson. She then continued to discuss reporting, being a news anchor and how the field of media is changing today. Pearson discussed the importance of natural curiosity. She talked about how reporters have to be able to ask complex questions when interviewing. One very important aspect of reporting Pearson discussed was the ability to be unbiased. She talked about how the reporter needs to look at the facts of each side and learn to question both sides of every issue equally. After speaking, Pearson turned her attention to student questions. To this, Pearson replied that there were several of her pieces that she felt were interesting, including the inauguration of President Obama and the former President Jimmy Carter’s awarding of the Nobel Peace Prize. Senior musical theatre major, Hannah Guest also asked Pearson a question. Pearson finished up the luncheon talking about the exciting world of reporting. She told YHC students about how Channel 2 is even getting ready to revamp their own studio to get up to date with the new technologies of today’s media. Because of all the new technologies available, the career opportunities are endless in the field of news and journalism.